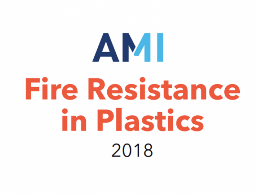 The 13th AMI Fire Resistance in Plastics Conference, Cologne, 11-12 December 2018, brought together over 190 participants (up from 160 participants in 2017) from nearly 30 countries, from the polymer, compounding and plastics additives industries as well as scientists and downstream user industries. This pinfa Newsletter Special Edition summarises presentations relevant to PIN fire safety and presents interviews with a selection of companies present. Previous AMI FR conferences are summarised in pinfa Newsletters n°s 61, 76, 80, 88. The next AMI flame retardant conferences will take place in Pittsburgh 2-3 April 2019 and in Cologne 3-5 December 2019.